With everything in the news over the last year about the “99%” and income inequality, I thought I might take a look at what really got under peoples’ skin about certain segments of the population being so wealthy. After all, the majority of people in North America believe in the principles of the free market and the system of capitalism (to some degree at least). I mean, most people would agree that if someone works very hard, innovates a better way of doing something, or creates a new product that makes peoples’ lives better, they should be rewarded for that. It’s that reward that motivates many people to work hard and push the envelope. In order for new products and processes to be invented, capital must be accumulated amongst those companies and individuals who will make the most use of it. This is the beauty of capitalism – those who have proven themselves able to build value with other peoples’ money will get more of it. In this manner, those who continually improve, innovate, and grow their efficiency ratings will get more and more resources to work with. In theory, the best, brightest, and hardest working should get rewarded the most, and have the most resources at their disposal. If everyone got equal amounts of capital to work with, and it was never focused in any one area, it would be much harder for companies and individuals to grow, and breakthroughs would not be as plentiful. This theory sounds great, and while it does have the unfortunate side effect of leaving many people with less than those at the top of the food chain do, it is tough to argue that capitalism (when combined with democracy, law, and property rights) is the most efficient form of boosting the overall wealth for everyone in the world. In fact, it is so efficient, that many modern capitalist countries are able to take some of the wealth generated and use it for the common good of the rest of society. This sort of capitalism (the system of Henry Ford let’s call it) used to work just fine, and most people involved thought it was great. So what’s happened? Is capitalism broken? Is it worth fixing? Somewhere along the line capitalism in North America morphed into a system that didn’t really reward the best, brightest and hardworking any longer. It didn’t even really always reward those people that exploited supply-and-demand circumstances (or at least only them). Instead, capitalism in many places has become a way for the most wealthy and connected people at the top of the food chain to stay there regardless of their relative merits. The prime example of this is in the financial industry, and specifically, financial engineers. A Castle In The Sand? The financial industry is now responsible for roughly 40% of the USA’s GDP, and over 30% of the S&P TSX 60 is financials as well. This is contrary to the basic logic of the economy when you really stop to consider it. I mean sure, your banks and insurance companies need to make a profit from their products and services, but is it really good to have that much of our economy resting on the shoulders of an industry that doesn’t actually produce anything?! Henry Ford gave us the automobile at prices the middle class could afford. Steve Jobs, brought a completely new spin to consumer electronics. Few would argue that these men shouldn’t be rich. Financial engineers give us derivatives, and black market trading. What value do these really add to the economy? Not much according to most people. A huge amount of “the 1%” is now made up of people that got where they are by enjoying built-in advantages that had nothing to do with any sort of merit calculation, using lobbying to co-opt politicians, and dealing in magic tricks that involve other peoples’ money. It’s no wonder people are mad. For capitalism to work, we need to get back to basic fundamentals. Reward people who work hard. Create incentives to motivate people to take productive risks, instead of destructive ones. Allow wealth and capital to flow to those that deserve it, not those that will merely do anything to protect it. At this point, it might be the only way for the twin brothers of free market and capitalism to get their good name back. 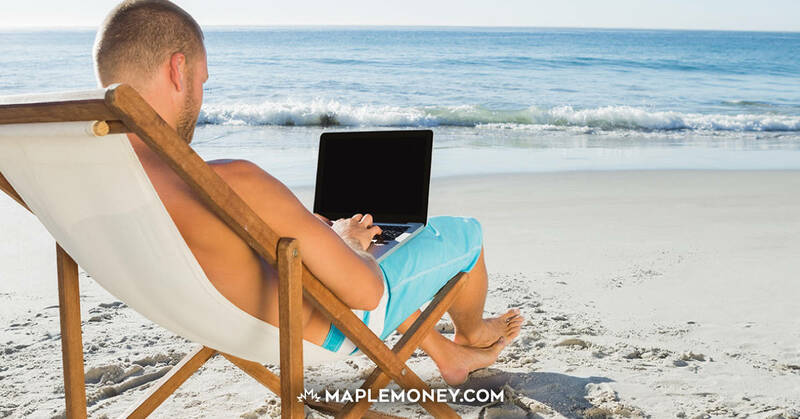 Kyle Prevost is a business teacher and personal finance writer helping people save and invest over at MyUniversityMoney. com and YoungandThrifty.ca. His co-authored book, More Money for Beer and Textbooks, is available in book stores. You’ve hit on one of the biggest problems facing the global economy: too much of it is made up of people and endeavors that don’t produce anything. It’s just a bunch of alpha male MBA frat boys whooping loudly about the next big thing while quietly churning money from market to market and account to account, scooping up the pennies that fall out of the pockets of the bewildered. Very nicely written, but how do we put the cork back into the overflowing bottle? “It is the markets job to reallocate money from the ignorant to the intelligent, from the lazy to the hard working and studious, from the naive to the educated,and from the speculator to the investor”.